The cold snap in the UK has continued to affect the equine action in recent weeks but hopefully the start of the new flat turf season will go ahead as planned with the traditional curtain raiser, the Lincoln Handicap, from Doncaster. With that in mind and on the back of a tremendous Cheltenham Festival who better to turn to than our resident Big Race Guru, Nick Hardman, for the lowdown on the key contenders for this year’s renewal. 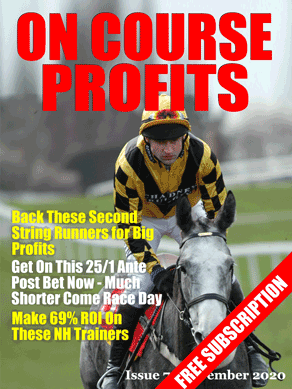 Being a member of the Insiders Club brings with it a comprehensive package which includes access to Nick’s Big Race Selections, a vibrant and friendly community/forum along with a monthly Members Report that at 52 pages is packed with systems, research and strategies that have been devised by our team of industry renowned contributors. His four-year average showed 220 winners per season at around 16% and a significant difference. Hannon Junior has not been able to match the numbers of his father and this raises a simple question – why? Significantly last April, Richard Hannon threatened to reduce his runners at Windsor because of poor prize-money. He absolutely floods the scene and clogs the race cards at these types of tracks with his juveniles, stifling, confusing, and reducing our opportunities to profit and furthermore, running four and five runners from different owners in the same race raises issues of integrity and unsafe results! BUT, is there a wind of change in their modus operandi? Historically, the team churn out 2yo winners between 5f and 6f and then again with 3yos up to a mile, whilst struggling to win with their older horses but since 2013 the 2yo scorers have slowed/dropped over the past five years resulting in a net difference of 52 winners. In the same time frame the older horses have dropped from 11%, 10%, and 8% to an inept 4% in 2016 and, given expertise, breeding and price-tags makes for desperate reading. How could a stable of this quality produce a dire 6-142 for 4% (-108.50pts) over a year period for any age group? Then, incredibly and without warning 2017 showed a hike – a big hike up to 17% with 24-144 for 17% (+30.33pts). For the first time ever, the strike-rate for his older horses was higher than those of the juveniles! Whilst accepting 17% is not a rate to get gaga about it is something very important to factor-in from last year into our betting. If the team have truly tweaked their operation it is reasonable to assume this figure could lead to more 4yo+ winners at the same strike-rate or more! You can get your hands on a copy of the current Insiders Members Report and a whole lot more including that all important access to Nick Hardman’s hugely profitable Big Race tips here. Having reviewed the key trends and stats for the first big handicap of the new flat season you can find out what Nick fancies for the Lincoln Handicap by clicking here to read on. The first big handicap of the season and plenty to get stuck into. 20/21 aged 4yo to 6yo, 13/15 rated 95+, 15/16 off the track for 140+ days, 7/7 priced 12/1 to 25/1, 12/16 priced 8/1 or bigger, 19/21 top 12 in the betting, 14/21 won at the distance, 21/21 raced over 1 mile or further, 17/21 won over 1 mile or further, 19/21 won 0 to 3 handicap races, previous class 2 or higher winners have a better strike rate, 20/21 last ran in a handicap, 19/21 ran in class 2 or 3 LTO. The best trends fit is Ballard Down, followed by Mithcum Swagger. I am also backing Gabrial to hit the frame at a big price along with Lord Glitters who could be the “Group horse in a handicap”.